Beluga whales are normally found in icy Arctic and subarctic waters. So onlookers were undoubtedly surprised to spot one of the distinctive white whales swimming very far south in the UK’s River Thames. Ecologist and ornithologist Dave Andrews first posted footage of the unusual sighting onto Twitter on Tuesday and said the whale was feeding around the barges near the town of Gravesend in northwest Kent. “Can’t believe I’m writing this, no joke – BELUGA in the Thames off Coalhouse Fort,” he wrote. At first, it was unclear that the animal was actually a beluga, but Richard Sabin, curator of marine mammals at the Natural History Museum confirmed the species. Belugas can be found in Russia, Alaska, Canada, West Greenland and Svalbard, but they have swum far from their usual habitats before. They’ve been recorded as vagrant at Japan, New Jersey, Washington state, Iceland, Faroe Islands, Ireland, Scotland, France, the Netherlands and Denmark, according to the International Union for the Conservation of Nature (IUCN). But this is the first time a beluga has been spotted in the River Thames, The Telegraph reported. “It is stuck next to a buoy and hasn’t moved for an hour-and-a-half except coming up to breathe. It was a lot more active earlier. It’s either stuck or there’s something wrong,” Evans said. Evans explained that large winds from the north could have pushed the whale south towards the Thames. “The whales only ever come to these narrow estuaries when there’s something very wrong. The Thames is far too warm for this beluga and I doubt it can feed,” he said. The Whale and Dolphin Conservation Society told BBC News that animal was “obviously very lost and quite possibly in trouble” and is urging the public to give space to the whale. 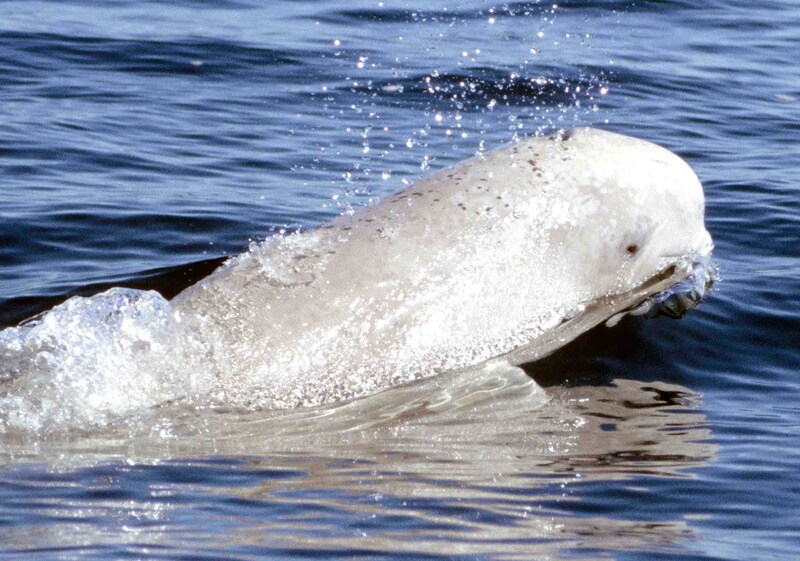 The conservation group also noted in a Tuesday blog post there have been about 20 previous sightings of beluga whales in the UK, but these were off the coasts of Northumberland, Northern Ireland and Scotland. Belugas are listed as “near threatened” by the IUCN due to human activities such as in oil and gas operations, commercial shipping and hunting. Rising temperatures caused by climate change has also melted Arctic ice and opened its waters, increasing the scale and distribution of such human activities in beluga habitats, according to the IUCN. The World Wildlife Fund also says that climate change has shrunk the extent and thickness of ice cover, which belugas use as a place to feed, to take refuge and to hide from their predators such as orcas. A 2016 study led by the University of Washington found that the annual migration of some beluga whales in Alaska was altered by sea ice changes in the Arctic.
? This Living Pod Could Replace Your Apartment, Costs Only $24000 And Takes Just A Day To Install How to Make CBD-Infused Dog Treats ?